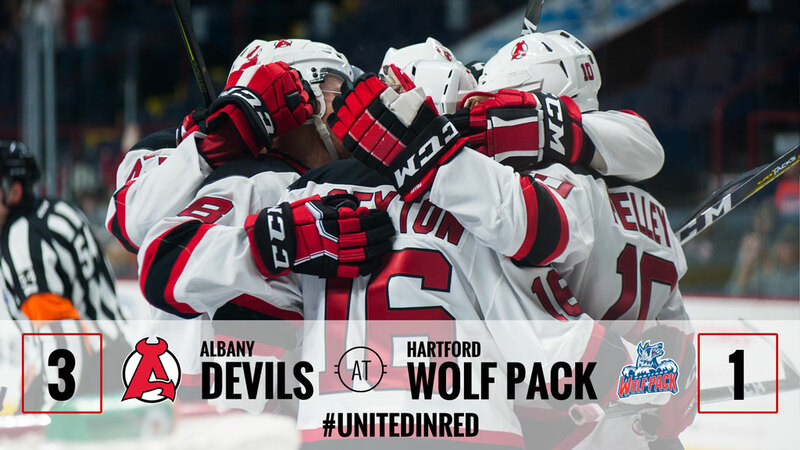 HARTFORD, CT – The Devils’ late push payed off as they closed out 2016 with a 3-1 win over the Hartford Wolf Pack Saturday at XL Center. Ben Sexton netted the game winning goal with under five minutes remaining in the third period. 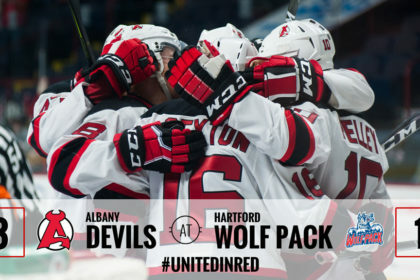 Albany advanced to 18-13-0-1, while Hartford moved to 11-17-3-1. Jan Mandat opened the scoring with an unassisted goal from the right side circle just :32 seconds into play. This was the rookie’s fourth goal of the season and moved him up to 10 points (4g-6a). Nicklas Jensen got Hartford on the board tying the game at one when he scored at 11:46 of the second period. Jensen’s tally was a power play goal. 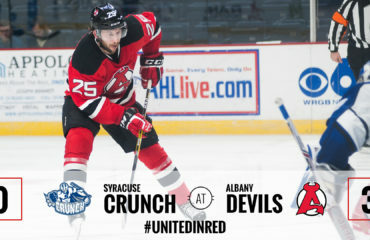 Ben Sexton gave Albany the final lead at 15:46 of the third period. He netted the Devils second goal of the night from the right side circle off a one timer from Blake Pietila. 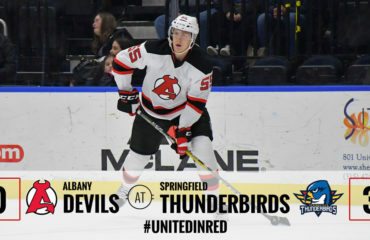 Pietila then closed the scoring with an empty net goal, giving Albany the 3-1 victory. Ken Appleby turned aside 24 of 25 shots he faced, registering his seventh win of the season. On the opposing end, Magnus Hellberg faced 29 shots, saving 27. 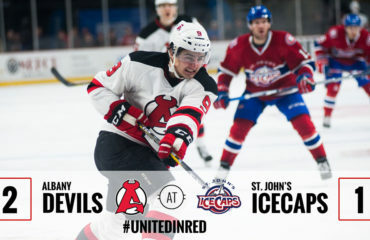 The Devils host the Bridgeport Sound Tigers at Times Union Center Sunday for a 3 pm puck drop.